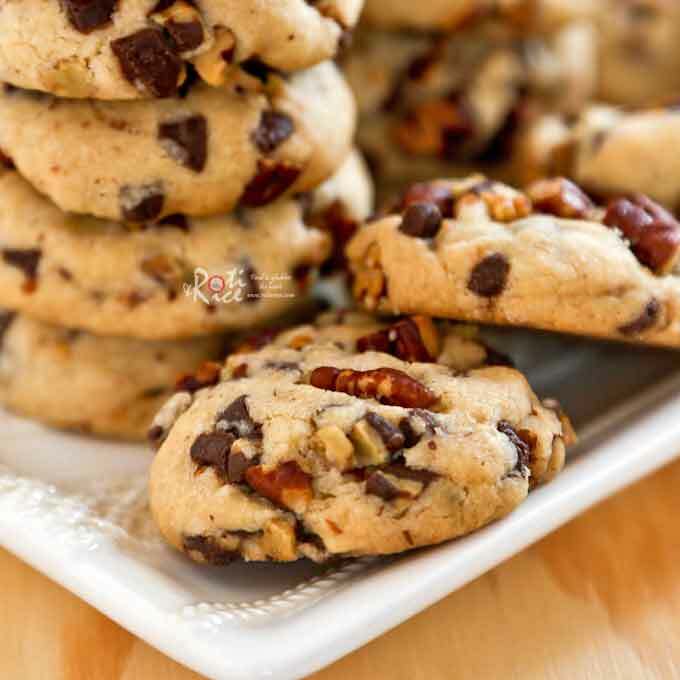 Delicious Pecan Creme de Menthe Cookies with a minty flavor and a slightly crunchy texture from the toasted pecans. Perfect for tea time or the holidays. There is nothing more welcoming than to walk through the front door and be greeted by the aroma of freshly baked cookies. Whether accompanied by a cup of hot tea or a glass of cold milk, these Pecan Creme de Menthe Cookies will surely warm the heart and soul in this season of winter commute. 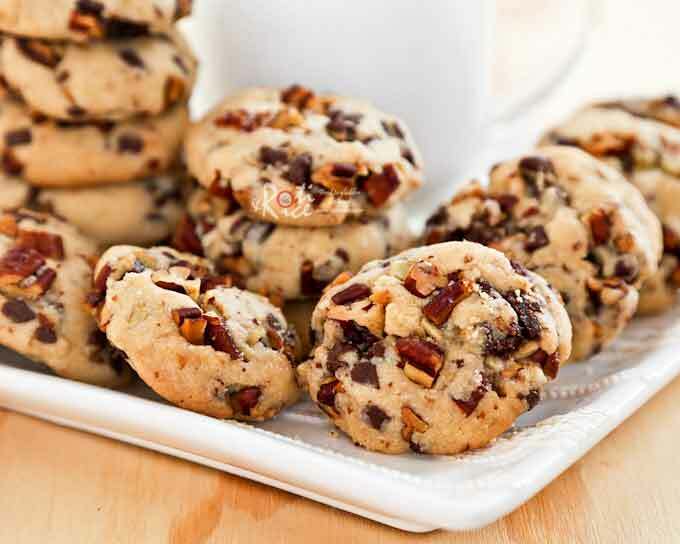 They are a delightful blend of minty chocolate chips and crunchy pecans, festive enough for the Christmas holidays coming up real soon. 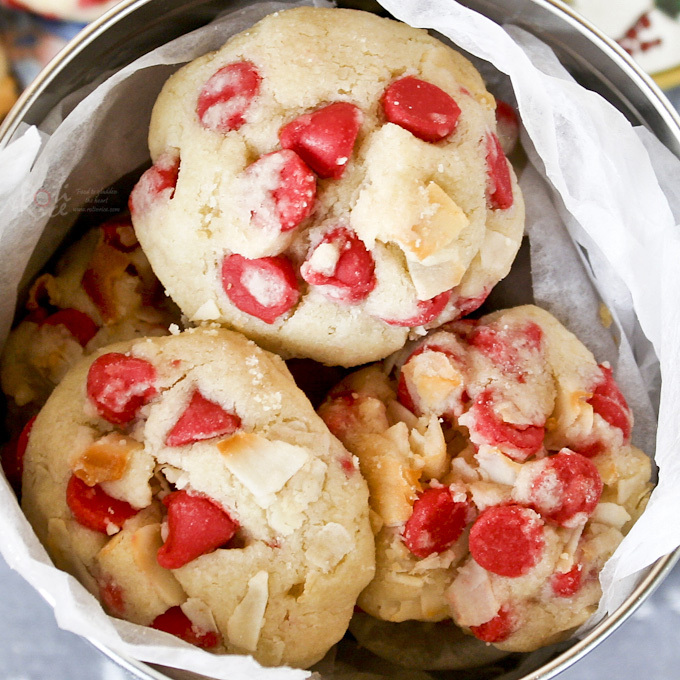 I actually made these cookies a few days before Thanksgiving but they never made it to the holiday table. The family enjoyed them so much, they were gone in a jiffy. I am planning to make more next week to be packed into decorative cookie tins as gifts. In this day of highly commercialized products available for presents, homemade cookies in a tin extends a nice personal touch. Andes Creme de Menthe Baking Chips are a relatively new addition to my pantry. They are three layered chips similar to their full-sized snacking namesake. These chips provide a refreshingly minty flavor to baked goodies such as cookies, cakes, brownies, and fudge. An alternative would be to use regular chocolate chips and a quarter teaspoon peppermint extract if you are unable to find these baking chips. Combine flour and baking soda in a medium sized bowl. Preheat oven to 375°F (190°C). Beat butter, brown sugar, and vanilla until well combined, about 2 minutes. Add flour and beat till dough comes together***. Mix in pecans and crème de menthe baking chips. Form into walnut-sized balls and flatten to form disks. Place on cookie sheet 2 inches apart. Bake in preheated oven for 10 to 12 minutes or until edges are lightly golden. Cool cookies on a wire rack. ** Crème de menthe baking chips may be substituted with regular chocolate chips and a ¼ teaspoon peppermint extract. ***Do not worry if dough seems to be loose and separate. Continue beating for about 2 to 3 minutes and it will come together to form a soft dough. 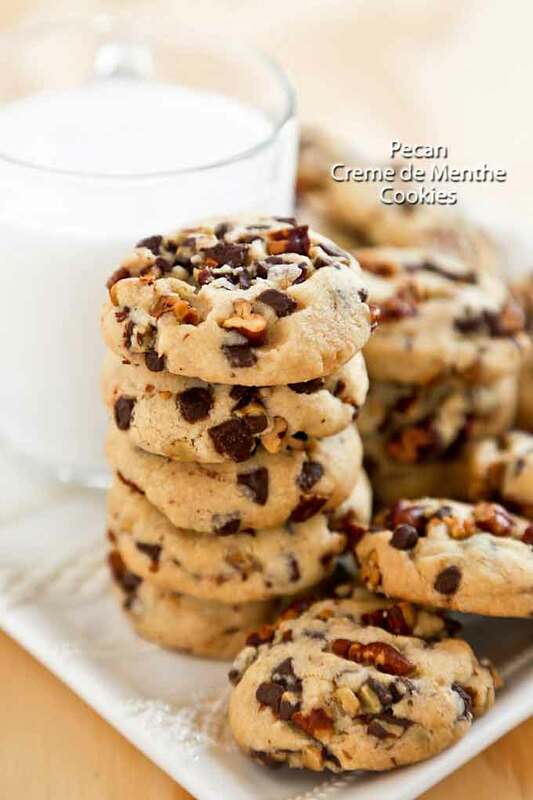 These chewy yet crunchy Pecan Creme de Menthe Cookies are our current favorite cookies. Do give them a try. I know you will enjoy them as much as we do. 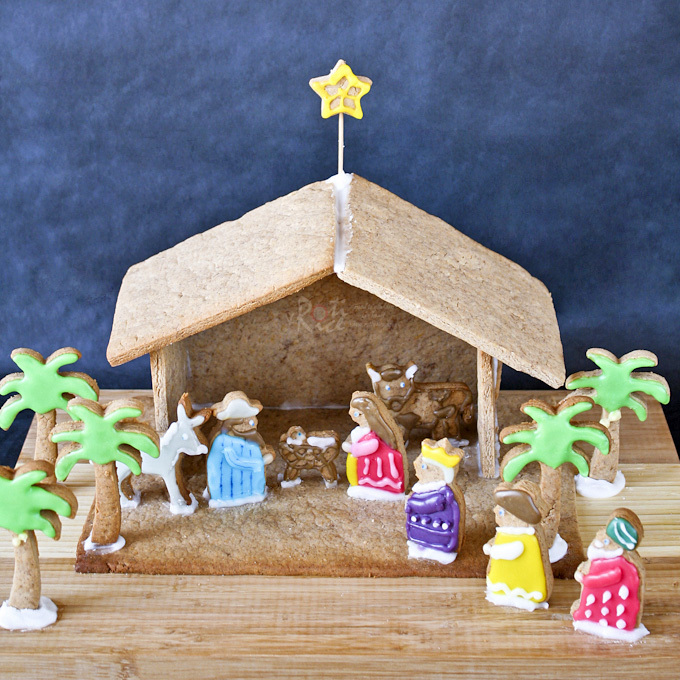 Check out my other favorite holiday cookies. 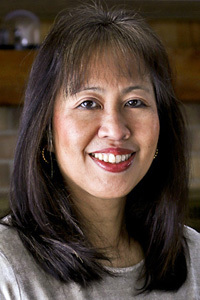 Please click on the link or image to open in a new window. Hi,like to thanks you for sharing all your recipes,would feel much appreciated if you can tell me where i can get your stamp cutter it so unique!…..tks Alice. You are welcome, Alice. I purchased this cookie stamp at Costplus World Market but it is only available around Christmas time. 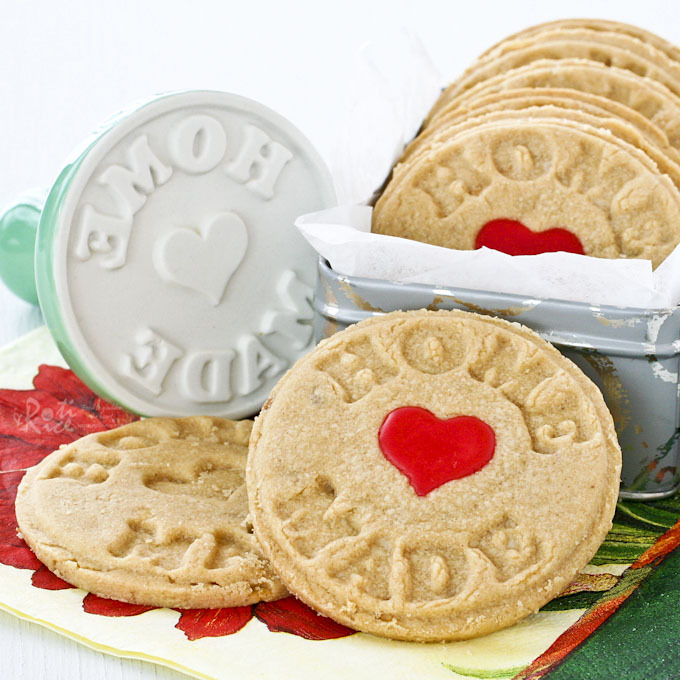 I currently have a giveaway of a similar cookie stamp happening right now at Top 10 Recipes of 2013 post. It is open to everyone world wide and today is the last day to enter. Just leave a comment on the post. These cookies are amazing! Thank you for sharing them with me!